Demi Moore, Katy Perry, Jennifer Lopez are not afraid of taking new pills, despite the fact that doctors warn them of the unpleasant side effects. What Do The New Weight Loss Pills Do? New pills burn fat and help suppress appetite. They are made from unripe coffee beans, which do not contain caffeine, as opposed to green tea. 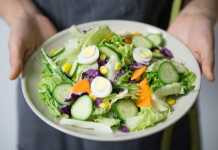 In addition, the grains contain chlorogenic acid, which provides the fat burning effect. This wonder pill has become the hottest topic to be discussed by the Hollywood elite. You need to take 800 mg of pills per day, though some people are prescribed up to 1600 mg per day. 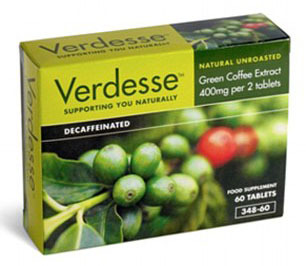 In the UK, the diet pills on the basis of green coffee cost only 14 pounds. The study, conducted by the researchers at the University of Scranton in Pennsylvania, has proved that weight loss by 10% is observed even if you take the pills in minimal doses. But not everyone considers the pills with an extract of green coffee beans to be safe. The side effects include high blood pressure, anxiety, and irritable bowel syndrome. Therefore, people suffering from panic attacks and epilepsy should not take the drugs from green coffee. How Do The New Weight Loss Pills Work? The tempting slimming recipe based on green coffee has led to yet another dangerous thing. There appeared cheaper analogues of the Hollywood pills – ephedrine – in the USA and Europe. And it is a dangerous proposition. For example, ephedrine is a prohibited substance in the UK, it acts like cocaine, instantly increasing the heart rate and making a person hyperactive, while suppressing appetite. The one rule in the successful diet is to remember the weight loss diet it self , believe it or not , you have to live a healthy life style , to benefit both your health and your body.